For most people in New Hampshire, their home is their largest asset. Should anything happen to it, they would be devastated both emotionally and financially. Though home insurance can not replace sentimental value, it can help homeowners recover financially from many disasters. Dwelling Coverage: Includes protection for the structure of the home including permanent fixtures due to a covered loss like fire. Personal Property Coverage: Includes protection for the personal items in your home including furniture, clothing, etc. Liability Coverage: Protects policyholders from lawsuits accusing them of causing property damage or bodily injury. As with all insurance policies, the specific coverages that a particular policy provides will depend on its terms, conditions, and exclusions. However, almost all New Hampshire homeowner policies typically contain these types of coverage. What Other Coverage is Available on a Homeowners Policy? Replacement Coverage: As it is extremely difficult to know exactly what the replacement cost of your home is, many insurance companies offer replacement coverage. It is important to pay attention to this coverage as some companies offer 100% guaranteed replacement, while other cap the maximum to 25% or 50%, while others will not offer it at all depending on the age of your home. Inland Marine Coverage: As many standard homeowners policies limit the amount of coverage available for items highly susceptible to theft, like jewelry, guns and silver/gold, you may want to list such items individually on your homeowners policy. This is known as a schedule or inland marine coverage. This coverage protects the insured as a value of the item in question and is determined prior to a claim and typically has an appraisal to verify it, making the claims process much easier. Scheduling is also encouraged for unique or rare items like antiques or fine arts. What is Not Covered on a Home Insurance Policy? Wear and Tear: The nature of insurance is to cover events that are sudden and accidental, like a fire or burglary. Maintenance and wear and tear does not fit this category, so it's typically not covered on a homeowners policy. Flood: Flood is typically excluded from all property policies, including a New Hampshire home insurance policy. A separate flood insurance policy can be purchased from a local knowledgeable insurance agent. Flood insurance is typically offered through the Federal Emergency Management Agency (FEMA) with rates set by the government and not through any one insurance company. This means that assuming all facts are the same, a quote should not vary depending on where you purchase the FEMA flood policy. Who Needs a Homeowners Policy? 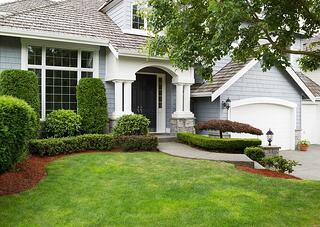 Everyone who owns a home should have homeowners coverage. Even if you do not have a mortgage and are no longer required by your lender to have a policy, you should ask yourself, "Can I afford to rebuild my home and replace all of its contents should a catastrophe strike?" For most, the answer is no. Even if you are fortunate enough to have such resources available, the replacement cost of a home and its contents is a specific amount of money. What is a greater unknown is a personal liability claim, which can happen to anyone at any time and cause financial devastation. How Do You Get a NH Homeowners Insurance Policy? There are numerous ways to get a NH homeowners insurance policy; however, the best way is to go through an independent insurance agency. Unlike companies that offer policies directly to the public, they only have one option for clients. An independent agent represents both large national companies (like Travelers and Safeco) and smaller regional companies (like Vt. Mutual and MMG). The industry and market is always changing, so where you fit today, may not be the carrier you need in 5 years. An independent agent keeps their eye on the industry and understands the best fit for its customers. At HPM Insurance, we have been protecting the citizens of Southern New Hampshire since 1860. We understand NH and home insurance. We have the experience to understand the risks associated with being a homeowner in New England and what you need to protect your home. We have convenient offices in Amherst and Bedford. Our Bedford office can help you with Bedford Homeowners Insurance needs, the Amherst office can take care of Amherst homeowners insurance, but either office would be more than happy to help any homeowner living in New England. Enter Your Information above and let the professionals at HPM Insurance help protect your home today!